engaging exhibits, fun experiences, great resources, and good people. WCHS offers three museums, annual events, a research archives, workshops, classes, tours and programs! We were founded in 1935 and are headquartered in our main museum, The Winona County History Center. For over 80 years WCHS has been a vibrant member of the Winona community with currently about 1400 members and 60 business partnerships. We have an 18 member board of directors, dedicated staff, with many amazing volunteers. Honor Mark Peterson and Donate to WCHS! Mark has been the Executive Director for 36 years and will be retiring in May. Help us celebrate his leadership with a gift in honor of his retirement to WCHS. The Story Inside the Arti[fact]s is a creative writing contest for middle and high school students. Admission: $5 Adults; $3 Students; free for WCHS members and kids 7 and younger. Open: Weekdays 9 a.m -5 p.m.
​Saturday 10 a.m. -4 p.m.
& Sunday 12 -4 p.m.
April 20 open 10 a.m. - 4 p.m., April 21 closed. ​The WCHS headquarters, the History Center is made up of Winona's old Armory (1915) and the contemporary Laird Norton Addition (2010). It houses WCHS offices, engaging exhibits, The Museum Shop, The Laird Lucas Library and Archives, and beautiful event and meeting spaces. Chief, Wapasha, granted permission to fur-trader, Willard Bunnell, to build a family home. An outstanding example of Rural Gothic Architecture, explore the home with guides portraying those from the past and try a few Victorian and pioneer activities of the day. Open for the Winona County Fair and St. Charles Gladiolus Days! 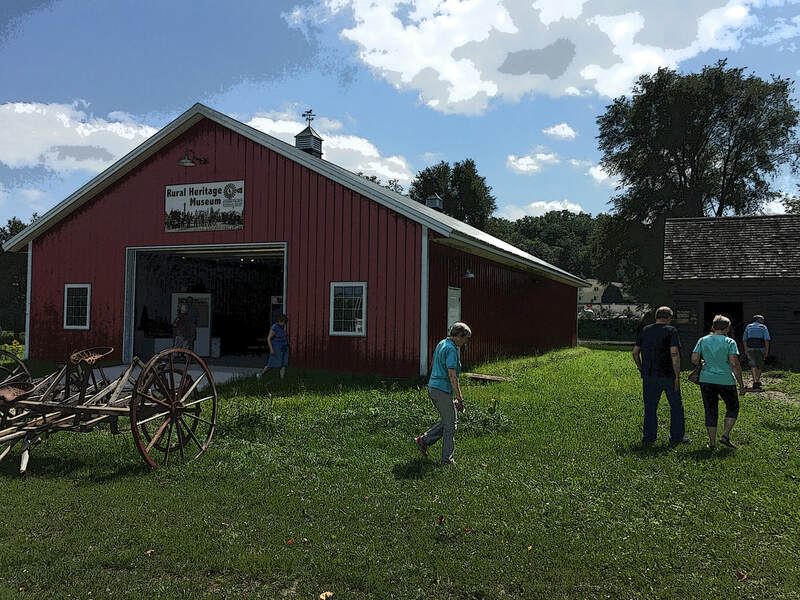 ​Our newest museum is filled with exhibits about rural life in Winona County. There is also a log house and log barn to explore, and the McCarthy-Gainey one-room schoolhouse. Various activities, will be offered during the Fair and Gladiolus Days. Pioneer School sessions are also offered each summer! Learn. Have fun. Make friends. History is social. There are many programs, events and classes offered by WCHS. Here are a few ongoing offerings, and be sure to check out more on the To Do page! A lunchtime learning series offering programs several times a month! Learn on your lunch hour. Welcome to bring your lunch. The Book Chat Group meets every fourth Wednesday at 12:05 p.m. monthly. Anyone is welcome at anytime to join the conversation. Get out on the river and gain some historical knowledge too! This series hosts weekly programs aboard The Cal Fremling or Winona Tour Boat as we cruise the waters of the mighty Mississippi. Would you like to become a WCHS Volunteer? Contact us to learn more! Find us. Visit us. ​​Stay Connected. Get in touch and stay connected to all things Winona County history! Sign up for our e-news list and get WCHS news and updates in your inbox! Winona has a ton to do! Paddle at the Lake or on the river trails, bike or hike our bluff trails, or take in the abundant art, heritage and cultural experiences! Offices are also located in the History Center and stop in the Visitors Center at Lake Winona just off Huff Street! This new tour company is run by students in the Winona State College of Business! An exclusive and entertaining walking tour of Winona's historic and hot spots. Explore historic downtown Winona and all it has to offer! From a great new brewery to fantastic shops and art galleries, there's plenty to see and don't forget to look up at all our beautiful architecture too.